It’s time for The Secret Recipe Club! For this month’s assignment, I was assigned The Bad Girl’s Kitchen. Min created her site as a place to come and share favorite recipes with friends and family. Sounds one of the reasons why I started my blog as well! I served the coleslaw with french dip sandwiches and it was perfect. This recipe can easily be doubled (or tripled) for larger amounts and it would be great to bring to your first summer cookout! Yes I’m thinking about summer as we just dealt with a major snowstorm over the weekend…luckily for me, I’m in warm Tempe, AZ right now for a conference. Mix the dressing ingredients together in a small bowl. Pour the coleslaw mix into a large bowl and coat with the dressing. Refrigerate for at least 1 hour for dressing to start to break down the cabbage and the flavors to blend. I like it best after it’s been sitting for 24 hours. Hope you are enjoying the warm weather! Feel free to bring back to the East Coast with you 🙂 Lovely SRC pick, love coleslaw and all the summer fun that (normally) comes with it! So glad you enjoyed the coleslaw; I love mine on pulled pork sandwiches! 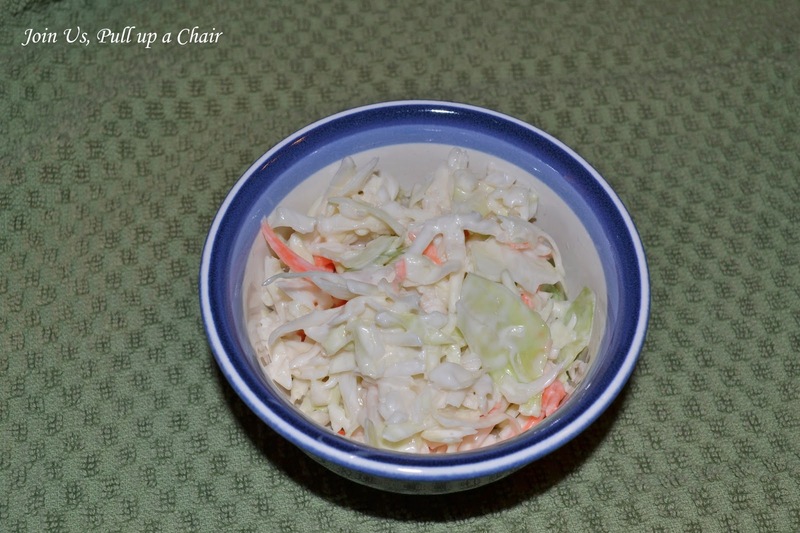 Like you have been on a quest for the perfect coleslaw…which to me is one that is like my mom's….this one looks great. Great SRC choice. Mmmmm, I love coleslaw as a standalone side, but it's even better topping a messy sandwich, wrap or slider. Oh that looks so good. There is nothing like a good creamy coleslaw! That looks like a delicious, creamy cole slaw, and I bet it went delicious with the french dip sandwiches. YUM! Fun to think coleslaw which makes me think summer. Looks delicious. My coleslaw recipe is very similar to yours I love the tangy vinegar/sugar flavors-perfect for any savory meat sandwich. I remember the cranberry chutney I made from your blog-it was amazing! We love Coleslaw and this looks like a great recipe. I deleted my last comment because somehow I think it came as a reply to someone elses comment? I'm not sure if it'll do it again. It looks like it. But what I said was that I love coleslaw! This is so easy!